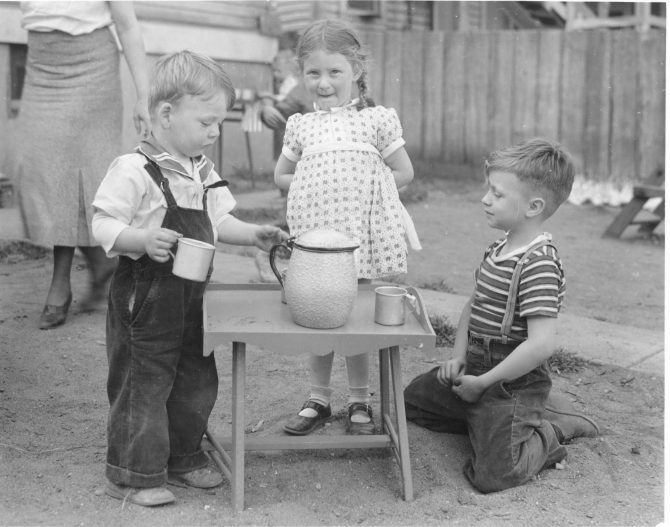 In June of 1937, Roy Scruton (left), Irene Fortana and Morris Matteson organized three mugs and a pitcher for "afternoon tea" at the day nursery at 1113 South I Street. 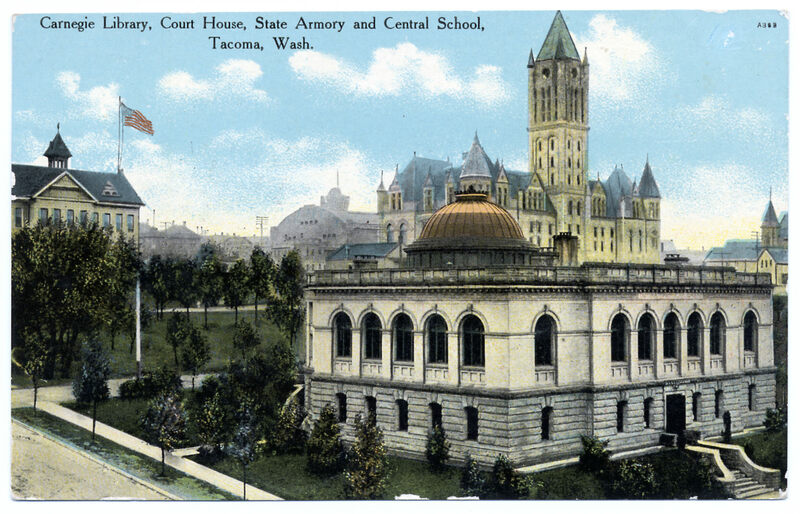 The nursery was one of two day care operations run by the Tacoma Day Nursery Association. Each June the association raised badly needed funds by selling small flags for Flag Day.